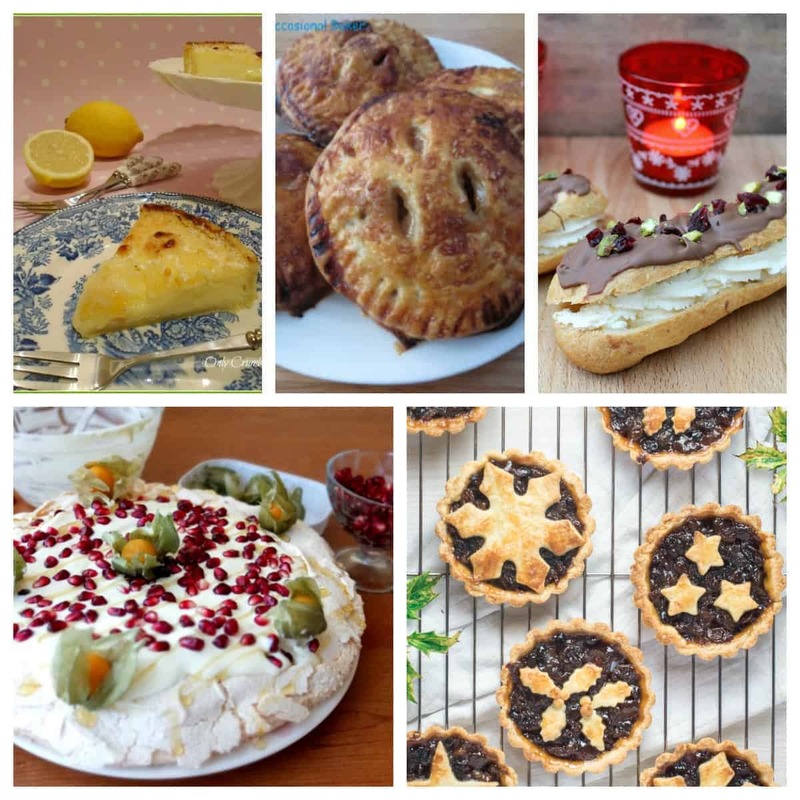 Before I introduce the December linky, let’s look at November’s mouth-watering entries. 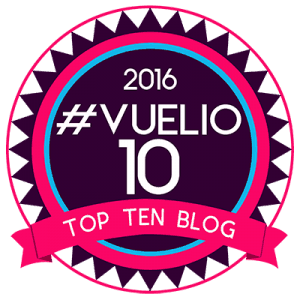 Thanks so much to those of you that took part last month. I really enjoy seeing what you have made and am sure you enjoy seeing such creative entries as well. First we had this delicious lemon tart with goat’s cheese from Angela. 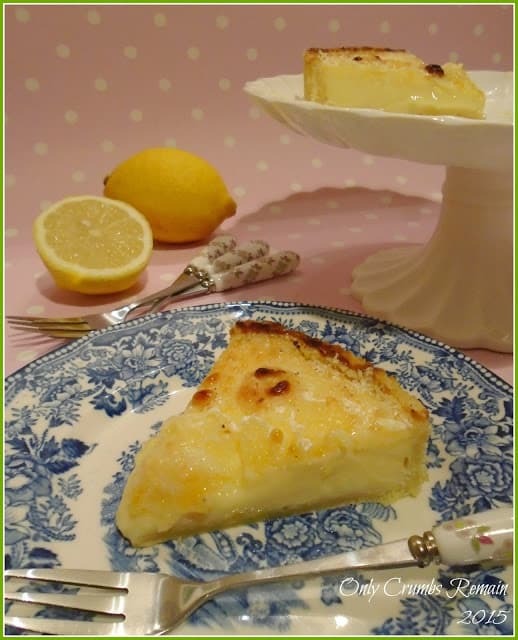 Goat’s cheese is something I adore and it sounds so good paired with tart lemon. 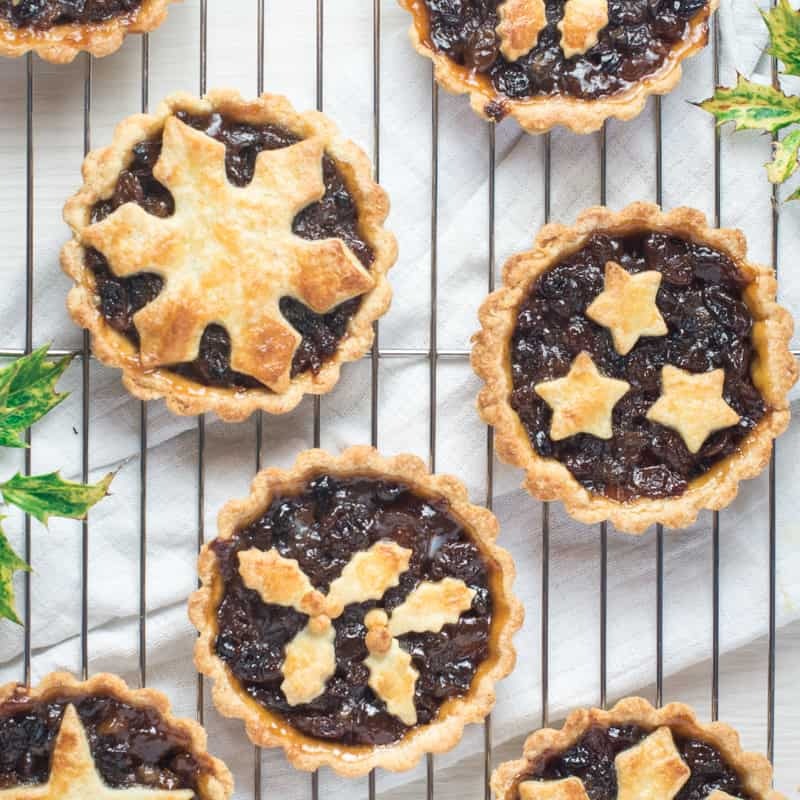 Next up were these pretty mince pies from Charlotte’s Lively Kitchen, who is already in a festive mood much like me! 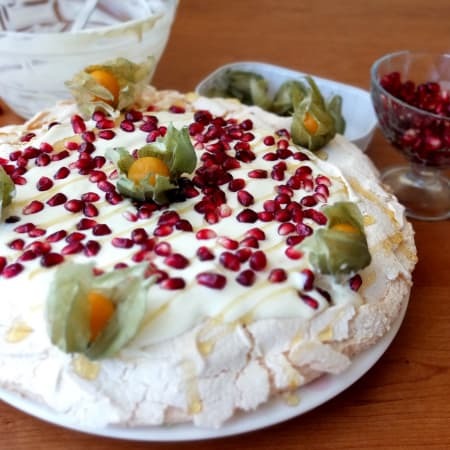 Lili from Lili’s Cakes’ entry is this gorgeous pomegranate and passion fruit yoghurt pavlova. I could eat this dessert right now. 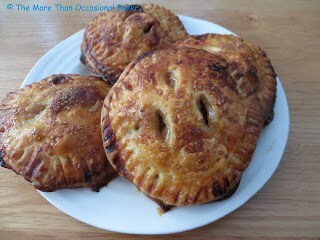 Ros from The more than occasional baker sent in her salted caramel apple hand pies. Filled with fresh apples and caramel sweets, I can imagine burning my fingers on these as they are so tempting! 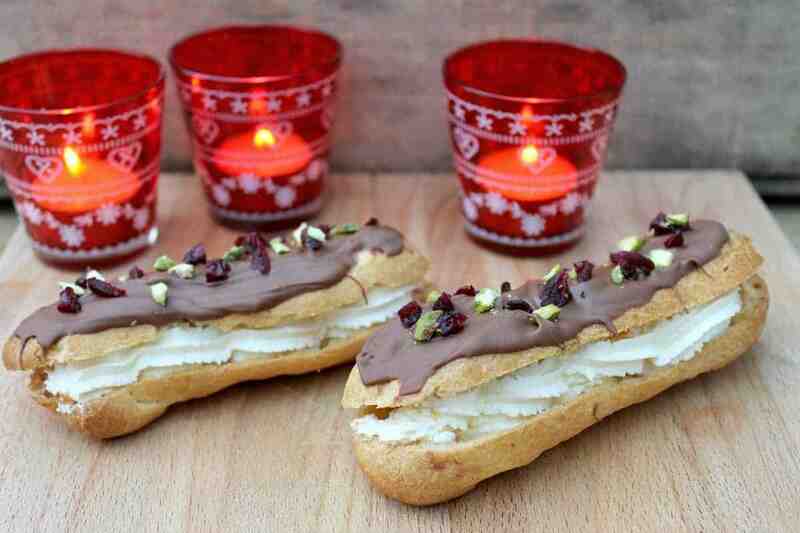 My entry was my cranberry and pistachio chocolate eclairs. As usual, the definition of pâtisserie for the challenge is very wide and also includes viennoiserie e.g. croissants, pastries and so on. Anything you might find in a Pâtisserie cookbook is fine! 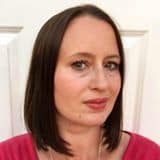 This month there is a theme and I’d like to see your Festive entries. Whether you interpret that as festive colours, festive flavours or a patisserie recipe to suit Christmas or another holiday, is up to you! Please link up your Festive recipe in December using the linky below, and check the guidelines below. You can link up any pâtisserie or viennoiserie recipe. Sometimes there may be a special theme, so keep an eye out for that. This month the theme is Festive. What a delightful and varied roundup of deliciousness! I know I say it every month but I really should join in with this challenge! The entries are always so inspiring. I particularly love the look of the lemon tart with goat’s cheese from Angela and the mince pies look so professional! I wish mine turned out like that. Great roundup as ever. Oh my! This post is making me feel so hungry! They all look so delicious, especially the cranberry & pistachio chocolate eclairs – YUM! !